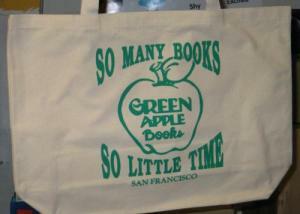 Below you can purchase a gift card or browse our current selection of Green Apple clothing and accessories, sporting our 35th anniversary logo or our classic "So Many Books, So Little Time" logo. All of our merch is printed locally (of course) and is of the highest quality. 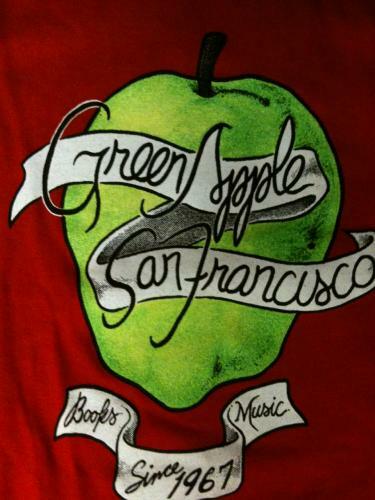 Give the gift of browsing at Green Apple! We offer physical gift cards which can be used in-store and online (except for eBooks), and they never expire. During checkout you can provide a shipping address for the gift card to be mailed to or select in-store pickup at one of our locations. For in-store pickup, the gift card will be filed under the recipient's last name. 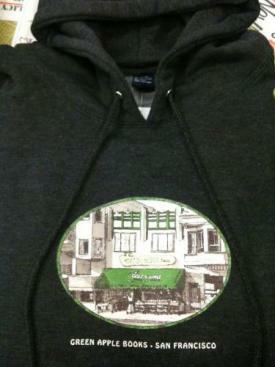 Even if the only thing you want to curl up with is a good book, you'll be beating the hordes of admirers off with a stick thanks to this super-soft and cozy heather gray hoody, designed exclusively for Green Apple by local artist and SF Chronicle cartoonist, Paul Madonna. "So Many Books, So Little Time." Year in and year out, our best-selling canvas tote bag. Roomy, sturdy, and always apropos. Locally made (of course). 100% cotton. Our most popular shirt for ladies. Cute cut. Soft fabric. Heather red. 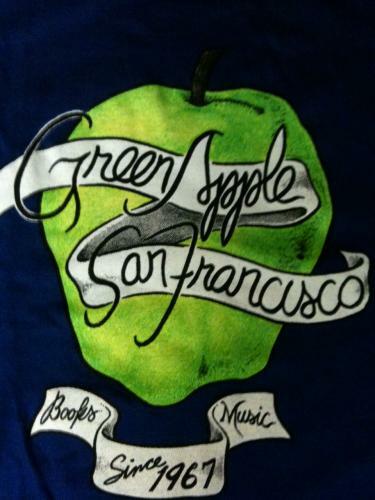 This cozy, black zip-up hoody features an embroidered Green Apple Books logo in green on the front with our 35th Anniversary logo on the back. A simple red shirt for the little ones. Available in 2T, 3T, and 4T sizes. May your kid be cuter than our model. . . .
A simple shirt for young kids. Available in 2T, 3T, and 4T sizes. Hopefully your child is cuter than our model. . .